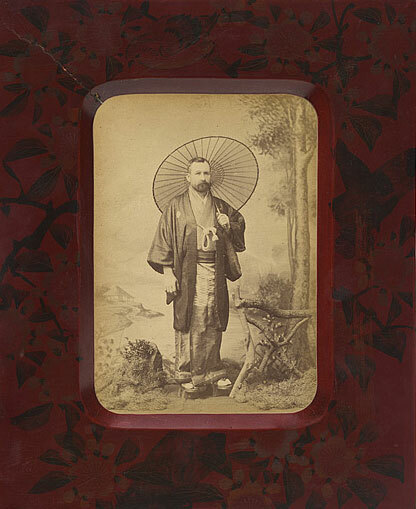 An international two day conference on early photographers and their studio practices in Asia, and cross-cultural exchanges in the Asia-Pacific region. Presented by the Research School of Humanities, Australian National University and the National Gallery of Australia. Within a few years of the public announcement of the daguerreotype process in 1839, its earliest practitioners were already active in the major commercial centres of Asia. From the beginning, the studio photographic likeness was the pre-eminent genre of the successful enterprise. Photographs of local subjects in the studio—whether as foreign tourist mementos, anthropological or ethnographic documents, statements of indigenous political authority, or for domestic use and circulation—were produced, distributed and collected in their millions. In the wake of postcolonial critiques of the camera’s objectivity, such colonial-era photographs have often been interpreted as symptomatic of colonialist attitudes and fantasies toward their subjects. However, local communities and indigenous elites quickly adopted the technology for their own domestic purposes and nationalist agendas. Enterprising indigenous studio photographers such as Francis Chit in Bangkok, Afong in Hong Kong, and Uchida Kuichi in Tokyo, also catered to appreciative foreign clients and markets, reversing the initial relations between photographers and customers in the studio. While the studio often served as a space of cross-cultural encounters between photographers and sitters, its practices and procedures were often inflected by local cultural preferences and traditions. This conference aims to explore the photographic portrait in the first hundred years of the medium in Asia. It intends to promote inter-regional comparative analyses between scholars working in diverse cultural and national contexts. The symposium will not only analyse photographic representations of Asian peoples for the global market, but also consider the domestic adoptions and adaptations of the visual technology for local forms of self-representation and cultural practice. It will also consider the studio photograph as collaboration between photographer and sitter, and the diverse performed identities invoked in photographic sittings. Are there distinctive practices and conventions that informed and characterised regional photographic portrayals of sitters? In terms of both production and reception, how did the personal associations between photographers and sitters inform the resultant photographic portraits? How did the increasing traffic of people and representations across national borders, both within and beyond the Asia-Pacific region, inform and alter studio practices and photographic imagery? How were regional practices of studio portraiture informed by traditional depictions of the human subject? In what ways was studio photography transformed through its interaction with other visual media in specific cultural contexts? FACING ASIA refers to the significance of the camera in the historical depiction of the peoples in Asia, whether defined in such historical terms as types, costumes, portraits, icons or mug shots. We wish to invoke debate on the photographic likeness—its producers, subjects, viewers, and collectors—which will highlight and enhance our understanding of the histories and legacies of such visual materials across national borders. Facing Asia also intends to provoke debate on the theoretical approaches and contemporary claims to such archives in a field of growing academic, curatorial and collecting interest. * Photographers of the Asian diaspora active in California, Australia and elsewhere.